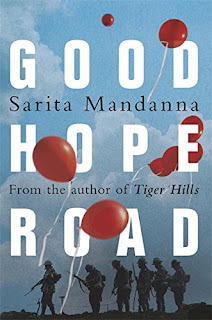 It would be entirely too simple to say that Sarita Mandanna's Good Hope Road is a book about the First World War and its aftermath. Rather, it's a story about fatherhood and family, about how there are some things we never, ever get over, about how love is enduring, and about how society can let down those who sacrifice most for it. In 1914, privileged New Englander James Stonebridge and Louisiana native Obadaiah Nelson meet when they both volunteer with the French Legion. Years later, James lives on his apple farm with his grown son Jim, who is falling in love. James is a stranger to his son, who was just a young boy when his father left for war. It is only when James decides to join the Bonus Marches in Washington that Jim slowly begins to realise there is more to his father than the dour, often drunk, uncommunicative man that he appears to be. Good Hope Road flicks back and forth between the First World War and the present as it stands for Jim, and the narration switches between James' First World War diaries, Obadaiah's story told in the first person, and the third person present. The three different threads create a layered story, and although they may seem like they may not come together at first, Mandanna deftly weaves a spell that brings all three to a moving conclusion. Mandanna's book is full of heart, because it's a story that is full of love. There is the brotherly love between Obadaiah and James, which develops slowly, and is all the stronger for how different the two are and how they are brought together. There is the father and son love between James and Jim, which often goes unspoken and doesn't always look like love because of the barriers between them. There is romantic love between Jim and Madeleine, whose love unlocks something in Jim and enables him to see his father in new light. There are many different kinds of love stories and Mandanna shows the depth of these three, and more that are woven throughout the book and play minor roles. Because the love is so strong, the betrayals in Good Hope Road are harder to take, and it's the political betrayals that are the worst. Mandanna examines a period in American history I knew very little about until I read Vanessa Lafaye's wonderful Summertime. Both books feature the plight of American soldiers who came back from the First World War hailed as heroes, and were then completely abandoned, unable to get jobs, not allowed benefits. 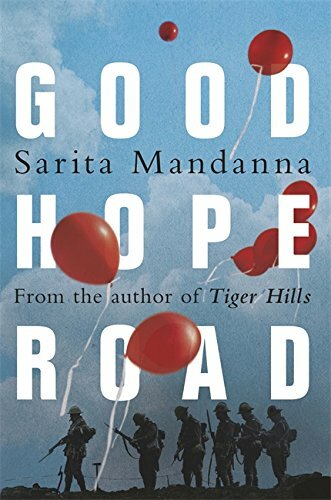 Good Hope Road, while fiction, draws on history for one its core storylines, which sees James and Jim go to Washington to join the Bonus Marches - a series of demonstrations and protests by veterans and their families, appealing to the government to give them the bonuses they were promised. As Mandanna shows again and again how these men are turned down, underappreciated and, worst of all, ignored, my heart broke and broke and broke. The scenes in the trenches are also heartbreaking, although at all times Good Hope Road is more a novel about the men who fought in the war than the battles themselves. There's an intense humanity to all the chapters set during the First World War, as a group of disparate men come together to form a fighting force whose main aim becomes not to win, but to survive. The biggest surprise of the novel comes during the First World War scenes, and it's one I could never have guessed at, but whose tragic consequences unlock another layer as to why James is the way he is. Sometimes it feels like there can be no more new stories about the war that was meant to end all wars. Mandanna proves with Good Hope Road that that is not the case. In a story about love and family and politics (which sometimes are the same thing), Mandanna shows there are still engrossing stories about the First World War to be told, and that, even though the war was so damaging, those stories can be full of hope. How I got this book: From the publisher, Weidenfeld & Nicolson. This did not affect my review.